The October 30th statements by US Secretary of State Mike Pompeo and US Secretary of Defense Jim Mattis calling for an end to the conflict in Yemen portend a marked shift in US strategy towards the intervention by the Saudi-led Arab coalition – now in its third year, with significant implications for the course of the Yemen civil war itself. The Administration outlined a sequenced approach by which the Houthi rebels were to first halt their missile strikes against Saudi territory, followed by a cessation of Saudi and Emirati airstrikes against Houthi positions, and the resumption of diplomatic negotiations within 30 days under UN auspices. Although there is no evidence to suggest a direct linkage between the shift in the Administration’s approach and the killing of Saudi journalist Jamal Khashoggi, it is clear that the fallout from this incident provides the immediate impetus for the change in the Administration’s approach. The international and domestic outcry from the Khashoggi affair has turned into a domestic liability for the Trump Administration, and has called into question Washington’s continued support for the Saudi military intervention in Yemen. However, the change in strategy announced by the Administration is the result of a reassessment that predates the crisis precipitated by the Khashoggi affair. Most significant in this regard is the growing misgivings in Washington regarding the strategic rationale of Saudi Arabia’s intervention intervention in Yemen. At the outset of “Operation Decisive Shield” by the Arab coalition in 2015, US support for Saudi-led war effort in Yemen was driven by the Obama Administration’s desire to placate Riyadh as it sought to negotiate a nuclear deal with Iran. As such, Obama’s support for the Saudi war effort was marked by a certain level of ambivalence in a conflict that was seen to be of only marginal value for American national interests. In contrast, the Trump Administration viewed Saudi Arabia as a regional pillar of its anti-Iran strategy and adopted the Saudi narrative that framed the Houthis as an Iranian proxy and an integral component of Tehran’s strategy for regional dominance. Washington therefore intensified its logistical and intelligence support for Saudi Arabia and the UAE, and resumed the sale of certain precision-guided weapons systems that were blocked by the Obama Administration due to its objections regarding the escalating death toll among civilians resulting from Saudi airstrikes in Yemen. However, after three years since the onset of “Operation Decisive Storm” launched by Saudi Arabia in March 2015, Washington is today confronted with the reality that its continued support for the Saudi-led intervention implicates the United States in a regional conflict that has delivered few strategic gains. Rather than decisively weaken the Houthi rebellion, the war has only entrenched Iran’s influence, pushed Yemen to the verge of complete state collapse, and produced a looming humanitarian disaster that will only become more acute as the war drags on. The worsening situation in Yemen coincided with a growing skepticism within some quarters in Washington, and especially in Congress, with respect to the wisdom of relying on Saudi Arabia as a strategic pillar of the Administration’s strategy for countering Iran’s influence in the region. Such skepticism will no doubt increase with a Democratic controlled House and growing Congressional opposition to continued American support for the Saudi-led intervention in the conflict. A motion to halt US support for the Saudi-led war was narrowly defeated in the Senate in March. In the wake of the Khashoggi affair, it can be expected that such calls will gain momentum and exert pressure on the Administration by subjecting US arms sales to Saudi Arabia to greater scrutiny, and potentially condition such sales on Riyadh halting or at least scaling back its military operations in Yemen. However, it is far from clear whether the shift in Washington’s approach will result in a successful resumption of the mediation effort by Martin Griffith the UN Secretary General’s Special Envoy for Yemen. Orchestrating the sequence of steps outlined by the Administration to bring about a de-escalation of hostilities and a resumption of negotiations will require an alignment of several factors in what has become a highly complex conflict environment. First, it is not clear the degree to which Washington can pressure Saudi-led Arab coalition to halt its air campaign in Yemen. Since the October 30th announcement by the Administration, there has been a marked escalation of fighting by Saudi and Emirati backed forces as part of a large scale assault to recapture the strategic Red Sea port of Hodeida in what may be an effort to maximize gains on the ground before diplomatic process forces a ceasefire. The escalation has already caused a delay in the negotiations timetable to the end of the year rather than the beginning of December as envisioned by the Administration. Secondly, what was noticeably absent from the Administration’s announcement was a call for a comprehensive ceasefire. 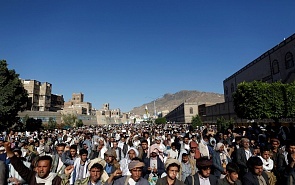 In limiting its call for a cessation of missile strikes by the Houthis, and air strikes by Saudi and Emirati forces, the Administration has left the door open for a continuation of military operations by means of Saudi and Iranian support to their various proxy forces, in addition to the presence of Emirati ground troops deployed mostly in the South. A continuation of military hostilities will most certainly complicate the resumption and sustainability of a viable negotiating process. Fourth, any course of action by the US along the lines described above would certainly raise acute sensitivities on the part of Riyadh, in light of the apprehension with which it will view the prospect of Iran’s growing presence Yemen. While Saudi Arabia has been struggling to roll back Iran’s expanding influence throughout the region, and especially in the Arab east (Syria and Lebanon), this would mark the first time that Iran manages to consolidate a foothold on its southern border. For Riyadh, therefore, Yemen is a key battleground that marks the extension of the geopolitical rivalry with Iran to the Arabian Peninsula itself. Finally, Washington’s bid to wind down the war in Yemen comes in the context of escalating tensions with Iran in the wake of the Administration’s withdrawal from the Iran nuclear agreement, and the re-imposition of economic sanctions including on Iran’s oil exports. As a result of the heightened geopolitical competition, Iran will be reluctant to acquiesce to a negotiating process to end the Yemen civil war without achieving significant gains. With the military balance tilting decisively in favor of the Assad regime in Syria, the stalemate in the formation of a government in Lebanon, and Saudi Arabia’s inability to achieve military victory in Yemen, it is noticeable that Iran has been reluctant to give the green light to its proxies to negotiate in any of the key regional conflict arenas. While the extent of Iran’s influence over the Houthis is difficult to discern, it is hard to imagine that the Houthi leadership would engage in diplomatic negotiations over Tehran’s opposition. Achieving a settlement to the Yemen civil war is therefore inextricably linked with the broader regional security situation. Untangling these layers of conflict presents perhaps the greatest challenge to reaching viable settlements of regional conflicts, no more so than in Yemen. It is far from clear how Washington intends to manage these many conflicting priorities. Although clearly driven by a desire to bring about an end of the civil war in Yemen, the immediate imperative will be to scale back its own involvement in the conflict, without a clear approach that would bring about a negotiated settlement, or even a resumption of the negotiations between the parties. The coming months will reveal whether the shift in the Administration’s strategy will result in some form of limited cease-fire, or a sustained effort to leverage its relationship with the Saudi-led Arab coalition to lay the groundwork for a process that would achieve a stable settlement for the war itself.